Bain Walker has been leading the Frio Bat Flight Tours to the Frio Cave since 1999. He has learned about Bats from Bat Specialists from Boston University, University of Tennessee, Bat Conservation International and Texas Parks & Wildlife. Bain and the Bats have appeared in several TV Documentaries, BBC Shows, and Animal Planet, plus in Texas Parks & Wildlife & Texas Highways Magazines. He is an expert at spotting and identifying the Raptors that catch the bats at the Frio Cave. Bain has lead the Bat Flight Tours and helped lead Birding Field Trips for The Nature Quest Event since it began in 1999. He has helped maintain his families Bluebird Nestbox Trail since 2001. In 2003 Bain was the Co-nominator of the Largest Tree in Texas. Bain has been leading Birding, Nature by Kayak, Big Tree & Bat Flight Tours in our area for Hill Country Adventures since 1999. Bain gives Bat Programs for schools, organizations and is our main Frio Bat Flight Interpreter. LeAnn Sharp has been promoting & helping lead Bat Flight Tours to the Frio Cave since 1999. She’s learned about Bats from books, videos, her son Bain Walker, Bat Conservation International, Texas Parks & Wildlife, and from Bat Specialists that come to study the bats each summer. In 2004, 2005, 2008 & 2009 LeAnn presented Bluebird Programs and lead fieldtrips on her Bluebird Trail for the Nature Quest Event. She is the Vice President of the Texas Bluebird Society, she has been on the Board since 2003. 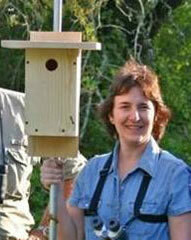 LeAnn has maintained 30 Nestboxes on their Bluebird Trail since 2001. LeAnn has been promoting and leading tours on the Bluebird Trail, Nature, Birding and Big Tree Tours in our area for Hill Country Adventures since 1999. LeAnn has created and run a Nature Center on their ranch. LeAnn teaches Bluebird & Other Small Cavity Nesting Bird Programs, leads Bluebird tours, plus is one of the Frio Bat Flight Interpreters. Lee Haile grew up in this area of the Hill Country and has been interested in Birds all his life, and Medicinal Plants since high school. He earned his Degree in Entomology (bugs) in 1982 from TX A&M University. He was an Entomology Consultant for Farmers and Ranchers for 13years. In 1991 he purchased a Saw Mill for his woodworking business and his interest in large trees grew. Lee is a Certified Master Naturalist, Birder, and has come to appreciate how, “The Hill Country is the Biological Crossroads to North America.” Lee has been leading Nature, Birding, Natural History, Nature by Kayak, Big Tree, Frio Bat Flight Tours, and doing Cowboy Campfire Storytelling in our area for Hill Country Adventures since 2003. 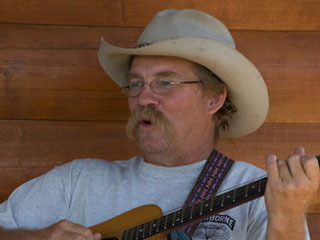 Lee is a Folklorist, Musician and Entertainer. He has performed at Dude Ranches, Schools, San Antonio’s Folklife Festival, and Sea World of Texas. In 2003 Lee was the Co-nominator of several Champion Trees in this area and one is the Largest Tree in Texas. Lee is one of the Frio Bat Flight Interpreters. Since April 2004 he has helped lead Nature by Kayak and Birding field trips, plus Storytelling and Entertaining for Nature Quest.